Platinum Play Casino 2019 - Get NZ$1,000 FREE Now! Platinum Play Welcomes players from New Zealand Platinum Play Casino is one of the most stylish online casinos out there and New Zealand players will have access to hundreds of pokies as soon as they register, not to mention that the welcome package is pretty big. Platinum Play Casino has always been more stylish than your regular gaming website but the recent update has taken things to a whole new level. With a large promotional banner and great images, the website welcomes players and promises them a gaming experience unlike any other. To help provide this experience, the casino has more than 700 games from Microgaming but we will talk about that a bit later on. The new style did come at a cost and players must now log in to actually see the lobby, which by the way keeps the same design theme. Established in 2004, Platinum Play Casino is licensed in Malta and this means that gamblers from New Zealand benefit from the strict regulations regarding fair and legal online betting. For even more reassurance that this casino can be trusted, users can easily check out the percentage payout report from eCOGRA which shows the rates at which the games paid in the previous month. Getting started couldn’t be any easier so let's jump into the casino review. Claim your bonus of up to NZ$1,000 at Platinum Play! It is a good idea to register straight away since the website doesn’t quite display the full range of advantages customers at Platinum Play Casino get. It does look very nice however but since it only takes a minute to create an account, it is definitely the recommended way to go. Once this is complete, the casino will be shown with an instant play lobby packed with games. As mentioned earlier in the Platinum Play Casino review, Microgaming is the software provider players can thank for the awesome games. A big button for downloading the desktop application can be seen on the promotional banner. After clicking it, a window will appear asking you to save the application. Just run it to install the casino and everything will be ready in no time. Players who want the full Platinum Play experience and plan on frequenting the casino will find the Windows app to be the perfect way to stay connected. The best part about playing at Platinum Play Casino from New Zealand is that you will get access to all of the games that the operator and the software providers have to offer. We are talking about a total that now exceeds 700 and they are all just a quick download away. The instant lobby is not lacking in gaming options either, with well over 450 games where each can be started from the web browser in perfect security. Slots: It is a great time for online pokies and Platinum Play Casino doesn’t disappoint with the hundreds of options with spinning reels. There are more than 330 on the site and more are added very often. Just a few of the hits from Microgaming are Jurassic Park, The Heat Is On, Tarzan, Immortal Romance and Fruit Vs Candy. Blackjack: The amount of blackjack games provided by the casino should be more than enough to satisfy the need of excitement for customers who always enjoy getting that 21 total. Variations include flashier options, like the Vegas Strip Gold Series, and good-old classics. There are some differences in rules between some of these games so make sure you know the details before betting. Roulette: Although there aren’t a lot of roulette games on the site, the available options will have to do for now. Premier Roulette Diamond Edition will show off some great graphics to make everything look more realistic. Video Poker: Two dozen video poker games are also part of the collection and these machines are usually pretty popular among regulars thanks to their big payout rates and potential for large single prizes. Live Dealer Games: To ensure a good variety of games in the live casino, Platinum Play has seven games from Microgaming and eight from Evolution Gaming. The combination of the two is awesome for live dealer games and we highly recommend you try out your favourite table game in this format. 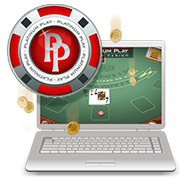 Given the popularity of mobile gaming, we had high expectations from Platinum Play Casino to work on tablets and smartphones. Most of those expectations were definitely met with an instant play site that is perfect for all mobile devices, ensuring that all users are happy. Granted, newer models of iPhone, Samsung Galaxy, HTC, BlackBerry and Sony will make the most out of the vivid graphics. Although the mobile casino doesn’t have nowhere close to the 700 games we saw on the desktop version, New Zealand users will find most of the big name pokies among other options on a list that exceeds 130 mobile games. What is also worth mentioning is that Platinum Play Casino can be found on the Apple App Store. Although the application is exclusive to iPhone and iPad, it is a nice downloadable option to have for players to enjoy the games at any time. This too maintains a wide range of games and keeps the same promotions. Platinum Play Casino has a top tier welcome package that will further encourage new players to join. The total goes up to one thousand New Zealand Dollars but the sum is made more accessible by dividing it across five deposits. As a result, the first five payments will each land you a 100% bonus up to $200 and there are also 100 free spins to claim. On the first deposit, the casino gives away 25 spins, then the third bonus adds another 50 and the fifth deposit bonus has an extra 25 free spins. A drawback is that the offer is valid only for seven days from the first deposit, so the following bonuses will have to be claimed rather quickly. Also, the deposit match bonuses are subject to a wagering requirement of 40x. As for the free spins, they can only be used on five selected slots games from Microgaming so they are not good for the entire collection. Minimum deposits of $10 are needed to get the bonus funds and the spins when available. An interesting part of the rewards program running at Platinum Play Casino is that it has fewer tiers than the standard one. The first couple levels have been removed so new users will start at Silver just by registering a real money account. After that, the three following loyalty tiers require players to earn set amounts of points in a calendar month by simply betting on the games. Some of the perks include accelerated earnings for the points, special bonuses and more. Although many things have changed at Platinum Play Casino, some have remained the same. Customer support continues to be well above the industry standard with a team that can be reached around the clock via multiple contact methods. In addition to the regular email, phone and live chat combo, the support service also features options for Skype, iMessage and WhatsApp. The dedication to security and regulations has also remained the same. Platinum Play Casino is operated by Digimedia Ltd and holds a license in Malta for real cash online gambling. The Gaming Authority in this jurisdiction is highly respected and the rules apply to New Zealand as well. A very wide selection of banking methods makes deposits very simple at Platinum Play Casino, no matter the country. There are tens of options and most of them accept various currencies, often times including NZD. The cashier will show recommended deposit options and provide more info on each one. It is always nice to find your preferred online payment option on the casino of choice and there is a very good chance that Platinum Play Casino will not disappoint. Visa, MasterCard, Skrill, NETELLER, Paysafecard and EntroPay are very popular nowadays. Although withdrawal options are more limited and processing takes a lot longer, there will not be any issues when cashing out from the casino. Take note that new players are required to provide proof of identity on the first withdrawal and it normally takes 24 hours to process the request. 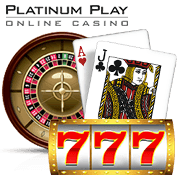 Platinum Play Casino is a choice that will make a good impression from the very start. With its great looking website, big welcome package and large collection of games, new players will likely be amazed with the opportunities, and for good reason too. The software is top-notch, which is no surprise seeing that Microgaming is behind it, and can be accessed on the site without any hassle. What really stands out from the online casino review is just how well customers are treated. Even beyond the $1,000 welcome package with its 100 extra free spins, the banking system and the customer support services are outstanding. This really helps make users feel at home on the stylish online casino and there are plenty of perks for being a loyal player here as well. Overall, Platinum Play continues to be a level above most other sites in New Zealand and that is definitely saying a lot.